Extremely large terras with direct sea view, comfortable appartmant with all you need for vacation, clean and spacious. Hosts were very friendly and welcoming and ready to help in any way. The views were Superb & you can hear the sea from the bed room . It was spotlessly clean. Pavlos and Elsa were excellent hosts. Pavlos picked us up and took us back to bus station at beginning/end of stay. Much useful information given by Elsa. Superb view from our verandah. Very peaceful setting. Were very happy to discover archaelogical site at Petra only few hundred metres from the apartment. 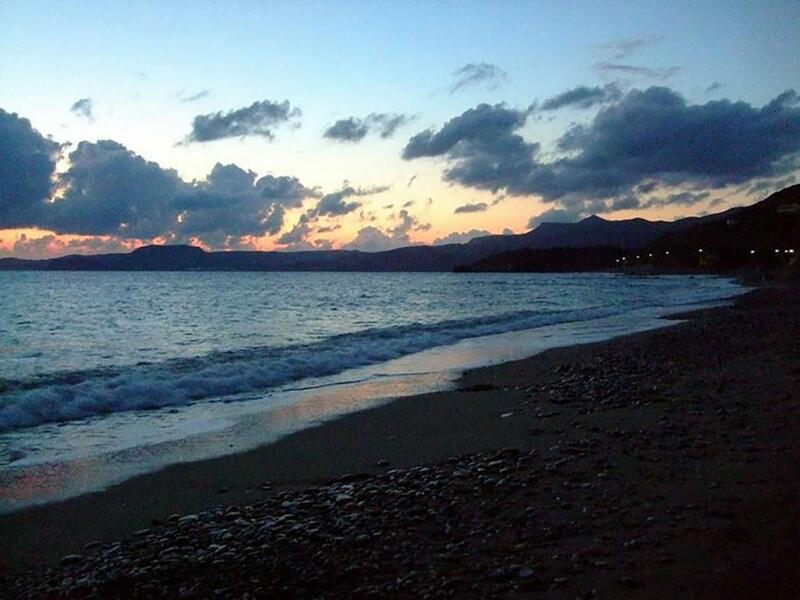 Very spacious apartment, great terrace, nice sea view. Very good value for money and the host was really nice and helpful. The view!!! The terraces have the most amazing view. The beach is right across the street. The apartment is super clean upon arrival and you can still smell the detergent. The apartments are also quite big. The host, Pavlos is also fast to respond and attentive. You have more than everything you need in the kitchen, including an oven, coffee machine, sandwich maker and a boiler! Friendly and welcoming owners. 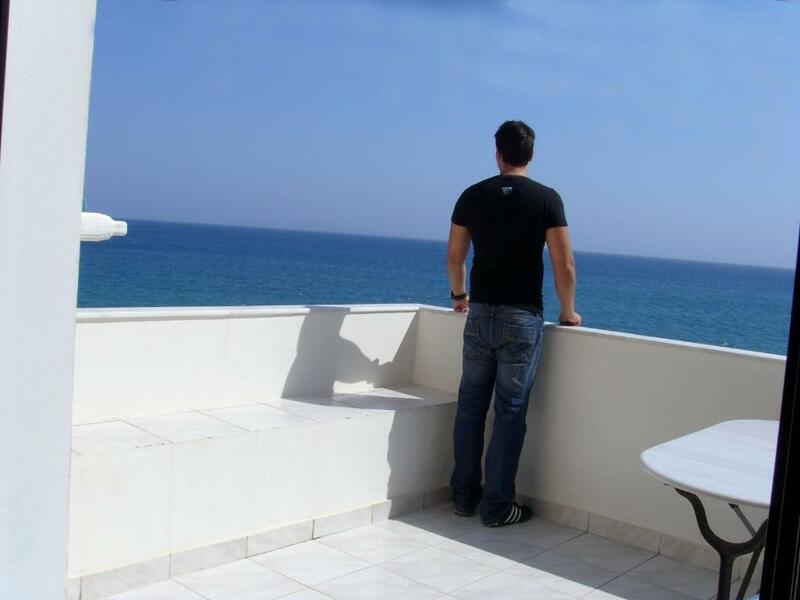 Spacious, clean, well equipped appartment with a fabulous sea view right in front of the balcony. Would definitely recommend and go back. Thanks Minos! 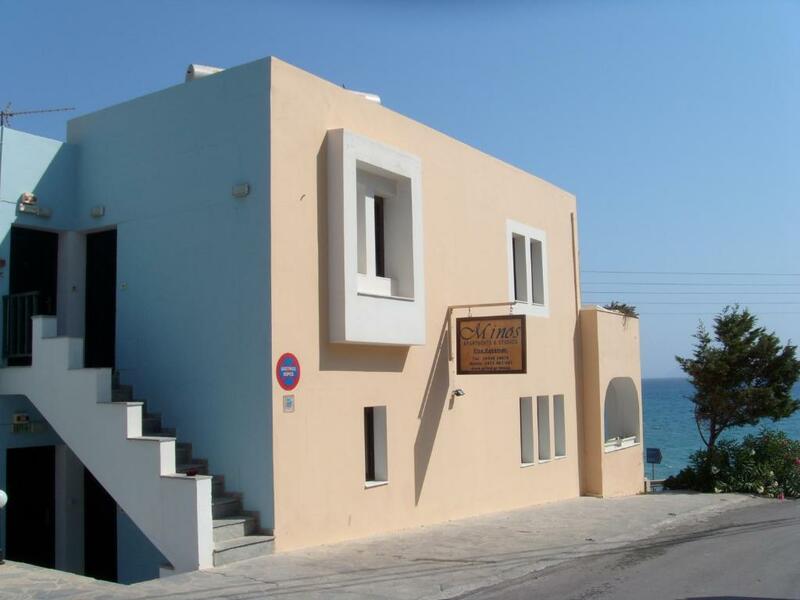 Lock in a great price for Minos Apartments & Studios II – rated 9 by recent guests! One of our best sellers in Sitia! 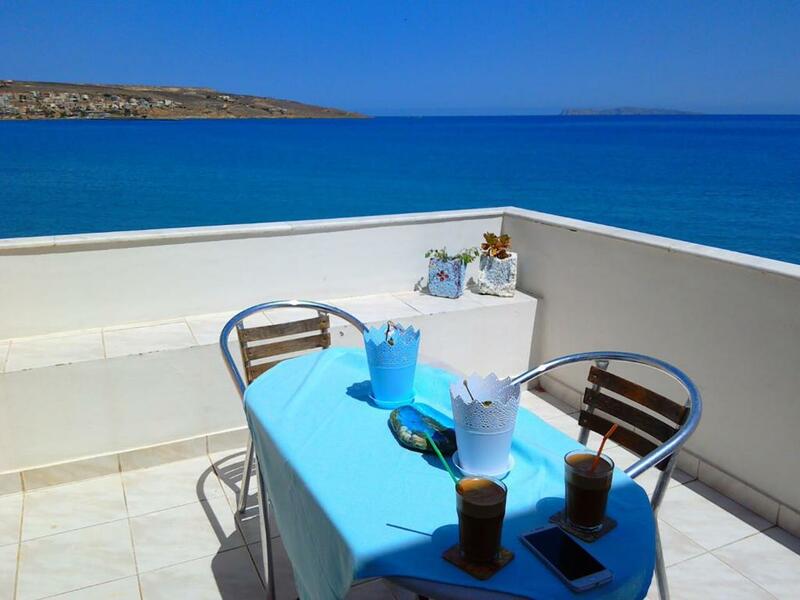 Minos Apartments & Studios II is located just opposite Petras Beach, 0.6 mi outside Sitia Town. It offers self-catering accommodations opening to a balcony with panoramic views of the Cretan Sea. All air-conditioned studios and apartments are spacious and bright. Each kitchen is equipped with a stove, fridge and dining area. A seating area with free Wi-Fi and satellite TV is also provided. Guests can visit the archaeological site of Sitia, at 1,000 feet. Minos II is 0.9 mi away from Sitia Airport. Free parking is possible nearby. When would you like to stay at Minos Apartments & Studios II? 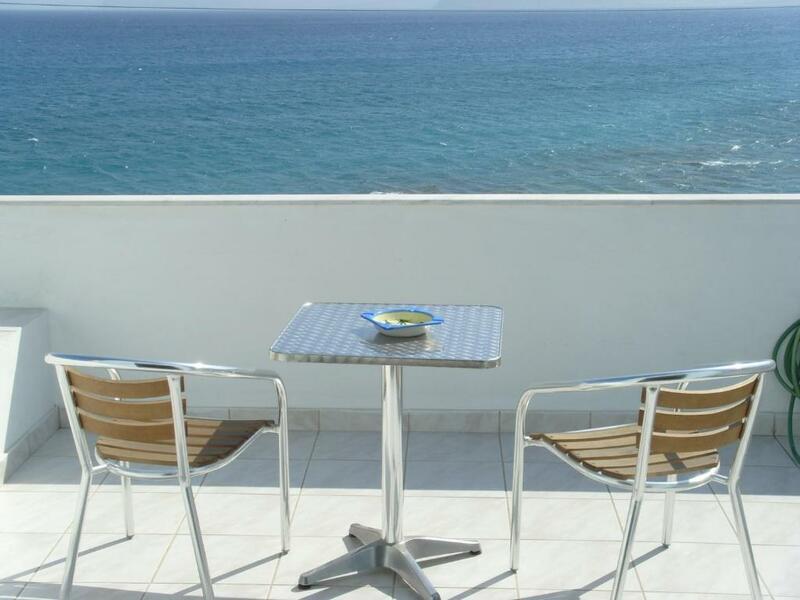 Located opposite Petras Beach, this air-conditioned studio enjoys panoramic views of the Cretan Sea from its private balcony. It has a kitchen with a stove, fridge and dining area. Air conditioning, free Wi-Fi and a satellite TV are provided. Featuring a fireplace, this apartment is located opposite Petras Beach and enjoys panoramic views of the Cretan Sea from its private balcony. It has a kitchen with a stove, fridge and dining area. Air conditioning, free Wi-Fi and a satellite TV are provided. 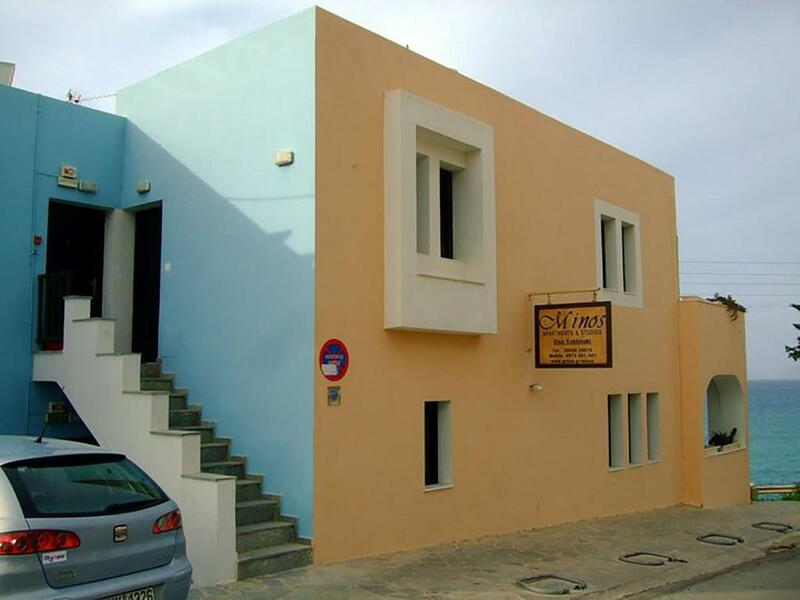 Our apartments and studios located 1km outside of Sitia, at the main road that leads to the famous palm-forest Vai. All of them have balconies with sea view. Hello, we are Pavlos & Elsa. We will be happy to meet you. We speak greek, english, italian, french and turkish. The settlement of the apartments is very interesting. Near to us (about 300m) is the archaelogical place of Petras. The settlement flourished in the Old Palace period, when the central building of palatial character was built on the top of the hill; it reached a peak, however, in the New Palace period when many alterations of the buildings took place. House Rules Minos Apartments & Studios II takes special requests – add in the next step! Minos Apartments &amp; Studios II accepts these cards and reserves the right to temporarily hold an amount prior to arrival. Minos Apartments & Studios II accepts these cards and reserves the right to temporarily hold an amount prior to arrival. Please inform Minos Apartments & Studios II of your expected arrival time in advance. You can use the Special Requests box when booking, or contact the property directly using the contact details in your confirmation. For us without transport it was too far from town , & the supermarket, making shopping arduous. There was no pavement for the majority of the way, it was quite a busy road & felt dangerous. There was only 1 pan & 1 frying pan so kitchen equipment was poor. We would have preferred a double bed. The walk into Sitia with no pavement. Spacious studio with excellent sea view. It would be nice if we had a bottle of water in the fridge, as we were very thirsty from the trip and no mini market nearby. Small problem with the bathroom window. I could hear the water when someone was flushing the toilet from the apartment upstair. increadible sea view. New furniture . There was no air conditioning in the bedroom and the bathroom was a bit small. The terrace is in full sun in the morning, so make sure you enjoy it in the afternoon. Also the windows do not have screens and you have to keep them shut at night to keep out the mosquitoes. That is a disappointment as we love to sleep with open windows to hear the surf. This studio has a complete kitchen with a full 4 burner stove, full fridge, table for 4, dish soap, sponge, (no dish towel), pots, pan, dishes, utensils. Bathroom with shower curtain. Need to bring your own soap and shampoo. Twin beds, couch, good A/C, lovely terrace with ocean view. This was easily the best equipped place we stayed in while on Crete. Very clean and they also cleaned it everyday for us. We were able to walk to town from here, and enjoy the night life along the port of Sitia. We ate out in Sitia one night and enjoyed watching the local families with their children on a Sunday. We could access the beach from across the road, but chose to try to snorkel at the east end of the beach. That area is called Petra and the rock shelf made it hard to get into the water. 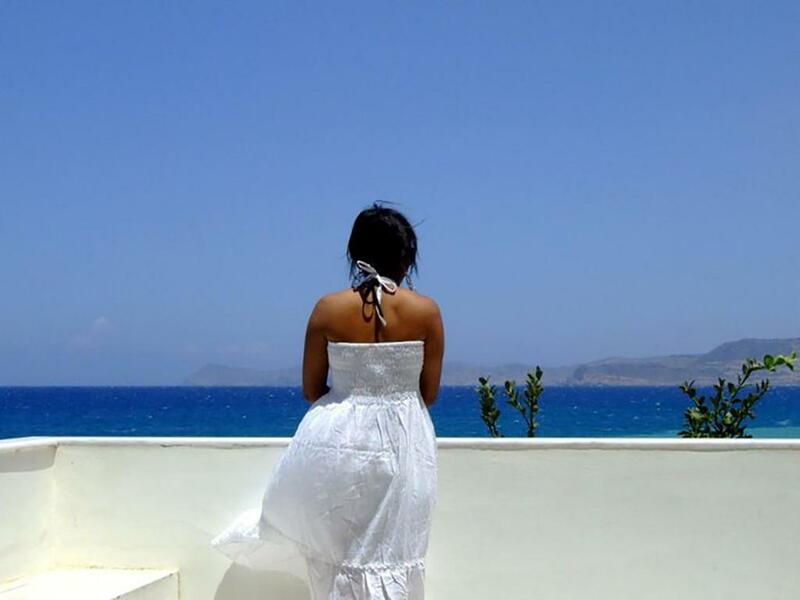 We did a road trip to see the ruins in Zakros and also snorkelled at Zakros which was lovely. Vai is also lovely and we swam and snorkelled there. Both Kato Zakros and Vai are not to be missed. As you enter Sitia town there is a large supermarket on the right. You need a car to get a maximum out of this part of Crete, but parking can be tricky at location in high season. Not a nice walk to town of Sitia.